Special Containment Procedures: A 2 km perimeter has been set up over the zone affected by SCP-2459. Mobile Task Force Phi-12 ("Green Light") is to work with local police and transit authorities to prevent civilians from approaching the area. The town within the perimeter is to remain evacuated, with a local chemical spill and health hazard remaining a cover story. All movement within the perimeter must avoid any travel by road. All roads are to be removed within the perimeter as allowed by local conditions. MTF Phi-12 is to maintain a supply camp in town. Food and necessary survival supplies are to be provided to the remaining individuals under SCP-2459's effect. All personnel who deliver supplies and engage in waste removal are to be tethered by steel cable to the supply camp, and retrieved from the affected area by reeling in. Class A amnestics are to be administered to all participants involved in supply delivery. Roadside waste must be removed by MTF Phi-12. Foundation personnel affected by SCP-2459 are to be included in supply programs, with the responsibility of dispensing food and supplies as required. Personnel within SCP-2459's zone of effect are reminded that the water hose and power cables are Foundation property and any transactions brokered by personnel are to be placed with the Foundation's petrol account. Furthermore, if they show signs of decreased morale, they are to be reminded that they will remain in place until the traffic clears. Civilians rescued are to be interviewed. Each civilian is to be detained for a minimum of two weeks, placed on an amnestic regimen, and must attend classes regarding the structure of society and proper functioning therein (see Protocol Balakot-525). All citizens must demonstrate understanding and belief in the social structures of their home community before being released. Description: SCP-2459 is a multilevel location-based mind-affecting hazard overlayed on an area of four intersections within ███ █████, Pakistan. Any person who enters the zone of effect is subject to an initial cognitohazard, convincing the subject that leaving the zone is not an option. The primary result of this hazard is a large traffic jam that extends throughout the city blocks in the zone of effect. Furthermore, the hazard contains a memetic component believed to be a subconscious defense against the initial cognitohazard. Subjects within the zone of effect in SCP-2459 try to organize their affairs with respect to all other subjects within the zone, resulting in a reinforcement of the need to stay inside the zone, typically for reasons of social standing and personal property rights. Because the zone consists solely of the roadway, there is no source of water or food available. All food and water must be provided to hazard subjects. The development of the hazard and the subjects involved is a dynamic situation, and containment continues to be based in humanitarian efforts and civilian rescue. Addendum: Incident Log 2459-A Notable events and any changes to the nature of the anomaly are to be logged and appended to this document. Personnel involved in containment of SCP-2459 must remember this is an evolving cognitohazardous incident, and to log any behavioral changes found. 5 May 2015. A traffic jam formed in the zone of effect of SCP-2459. 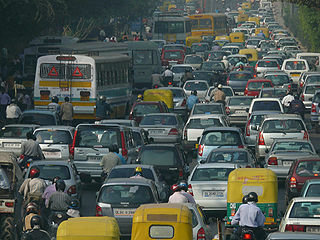 When it was observed that the jam was not clearing itself naturally, local police were dispatched to move traffic along. When local police stopped attempting to direct traffic, provincial forces were dispatched. 7 May 2015. Provincial forces disobeyed orders to leave the area, refusing to back down from the task of clearing the traffic. Foundation contacted regarding potential cognitohazard. First responders noted that civilians at the edge of the traffic jam appeared confused regarding instructions to move on. Although civilians would leave their cars and walk around, no one left the roadway at any time. Entrepreneurial civilians within the affected zone had set up outhouses at the edge of the roadway for civilians and were charging for their use. Human waste was noted to pile up at the road edges. An initial sortie sent to rescue a civilian from the rapidly deteriorating conditions entered the zone of effect of SCP-2459 and first appeared lost. When instructed to return, affected personnel refused, stating the importance of locating an appropriate civilian to rescue. When ordered to leave, personnel reiterated the importance of the mission. One member attempted to establish rapport with the locals by bartering his meal bars to others. As currency was rapidly becoming concentrated in the hands of the outhouse renters, the Foundation personnel accepted a remaining share in the petrol in the tank of the car of one of the civilians. HC-1 Class cognitohazard was diagnosed and MTF Phi-12 was dispatched. 8 May 2015. Affected civilians ran dangerously low on food and water. Civilians demonstrated further anomalous memetic effects, reaching consensus to accept petrol as payment for goods and services between them. Civilians and personnel agreed that all such transactions should be managed at a central bank, and civilians siphoned petrol from all vehicle tanks and transferred it to a tanker caught in the effect, rendering the vehicles unfit for travel. 20 civilians collapsed from dehydration and heat exhaustion. MTF Phi-12 contacted civilians, offering medical evacuation. All offers were refused. MTF extends water hose to affected personnel within the zone of effect to provide water. Daytime high temperature 41 degrees C.
9 May 2015. MTF Phi-12 delivered the first crate of supplies to affected civilians and Foundation personnel. Personnel affected by the anomaly, having entered the zone without vehicle or petrol, have been classified as low-status individuals by civilians. Affected personnel have bartered away their equipment in order to participate in the society forming from SCP-2459. Affected personnel request to receive the supplies and water directly from the Foundation so that they may sell them to the civilians and increase their social standing. Request denied. 14 May 2015. MTF Phi-12 completed containment perimeter. All unaffected civilians evacuated and amnesticized. Supply drops continue. A power cable is extended to affected personnel. Personnel are requested to confiscate all phone power charges for containment purposes. The Foundation applies for a petrol account for incidentals. 18 May 2015. MTF Phi-12 attached a retracting cable to rescue personnel and enter the zone of effect. Personnel were subject to the cognitohazard within 2 seconds of entering the zone. Cable retraction was successful in retrieving the attached rescue personnel. Retrieved personnel continued to demonstrate memetic infection, complaining that they still had obligations within the zone. Class A amnestics successfully remove the cognitohazard from subjects. 19 May 2015. Tethered rescue personnel instructed to attach a harness to retrieve a civilian located at the edge of the road. Task successful with casualties: broken ankle of civilian. Although Class A amnestics removed the cognitohazard from the rescue team, it failed to completely remove the hazard from the civilian. Civilian interviewed. Foreword: Interview conducted 19 May 2015. Interview immediately after rescue from zone of effect. Subject suffered a broken ankle resisting rescue. POI-2459-1: You can't keep me here! I have to go back! Agent Shah: We can't let you go back out there. You need medical assistance. POI-2459-1: They've set up a practice at the ambulance, I will be fine. Agent Shah: We can get you better care here. POI-2459-1: But what about my car? I can't just abandon it! They'll think that I left it behind. Would you return home, face your wife and tell her you just walked away from the car and now you have nothing? Agent Shah: You have a wife? Where is she? Wouldn't she want to know where you are? POI-2459-1: She's at home. And she'll be more concerned that I show up with no car, a broken ankle, and no way to work! No, let me back to my car, and I'll drive it home when the traffic clears, like I'm supposed to. Agent Shah: But you've emptied the tank! How can you drive on an empty tank? POI-2459-1: The petrol is still in my name and I can withdraw it at any time. Now let me return to my car. 20 May 2015. A civil disturbance broke out within the zone, which was quickly suppressed by affected police. The cause of the riot was a disagreement regarding the dispensation of POI-2459-1's vehicle. Affected individuals debated the situation, and agreed that vehicles and equipment of rescued individuals are considered abandoned. Methods of claiming abandoned property were not agreed upon, however, suggesting that future riots could result if civilians rescued do not have their vehicles with them. Fifty-three claims on POI-2459-1's petrol account were registered with the tanker driver and zone accountant. 2 June 2015. Civilian extraction attempted. Target (POI-2459-12) has been identified as a taxi passenger, and so arrived without vehicle or petrol. MTF Phi-12 considered POI-2459-12 a good candidate for extraction without causing further civil disturbance. Extraction successful. POI-2459-12 interviewed. Foreword: Interview conducted 2 June 2015. Interview 24 hours after rescue from zone of effect. Subject was a taxi passenger, and owned no vehicle within the zone. Agent Shah: As I've explained before, no, you can't go back there. POI-2459-12: Really? You are really keeping me from going back? Agent Shah: Really. Besides, you were at the bottom of the food chain out there. POI-2459-12: I was surviving just fine. I just need a change of clothes and a bath, which I'll get just as soon as my lazy driver finishes taking me home! Agent Shah: We can get you home faster than your driver. POI-2459-12: What? No. We already negotiated the fee for driving me home. I'm not going to walk away and let him steal what I paid for. Agent Shah: We can reimburse you. You'll get home safely, can take care of yourself, and you don't have to be stuck in traffic anymore. POI-2459-12: I refuse. I can't let him get away with this! He's probably trying to steal my petrol account, as we speak. Agent Shah: But you did not arrive with any petrol. POI-2459-12: No, I earned it. I'm very talented. It's mine now, and you'll see the profit I can make once everything moves on. 10 June 2015. Civilians disassembled some of their own vehicles and reconfigured them into shelters. High temperature 43 degrees C. Personnel within the zone of effect have been successful in preventing dehydration and starvation. Due to temperatures, civilians were allowed to continue with disassembly. 23 July 2015. A prescribed course of amnestics every eight hours coupled with cultural reindoctrination education has been found to be sufficient to cure civilians of the memetic component of SCP-2459. Protocol Balakot-525 established. POI-2459-1 amnesticized and released. Monsoonal rains prevented further heat and dehydration crises. 5 September 2015. Protocol Balakot-525 successful in the rehabilitation of 50 civilians to date. Sample exit interview attached. Foreword: Interview conducted 5 September 2015. Interview 21 days after rescue. Subject underwent amnestic regimen and cultural realignment, and has been identified as rehabilitated. Subject underwent final amnestics course after interview and returned home. Agent Shah: Greetings, ███████. Please, sit, have some tea. Are you ready to return home, now? POI-2459-52: Yes, I should like that. Goodness, have I really been caught in that jam for four months? Agent Shah: I'm afraid so. For the record, could you please explain a few last details regarding your experience? POI-2459-52: Certainly, anything if it will help those poor souls. Ask your questions. Agent Shah: Why were you convinced not to leave the roadway? POI-2459-52: Well, first thing you have to understand, is that none of us want to be there. We all have destinations, families to go back to, things to do. Being stuck in traffic is just a temporary setback. Agent Shah: But if the traffic lasts days, then wouldn't it have been easier to just leave the road and walk? POI-2459-52: Certainly, but then you'd have to leave your car behind. Or abandon your fare. You couldn't do that. You can't make progress if you're just letting the things you own slip through your fingers. What good is it if you make it home, but you have nothing? What sort of fool leaves his valuables to be taken? No, it's better to just wait. The traffic will move eventually. The police were there, working on it. Agent Shah: But everyone emptied their tanks! People are disassembling their vehicles! They can't move their house, now! POI-2459-52: The traffic was slow. We would reclaim our petrol, remove our structures, and leave on a bus when the time came to move. Until then, we needed a place to live and a petrol account to get our food and water while we waited. Agent Shah: If it weren't for the rescue operation, there would be no food or water! Dehydration was rampant when we arrived. There are buildings nearby, certainly it would have been easy to bring water from there. POI-2459-52: And abandon our vehicles? Forfeit our petrol? Certainly not. We decided how these things should work, and we would leave when the traffic cleared. Until then, it was best to make do. Agent Shah: But you could have died! Why would you believe waiting was the better thing to do? POI-2459-52: Sir, I understand the absurdity of our solution now, but please try to put yourself in the shoes of those of us stuck in traffic. If you're not willing to die for your beliefs, what good are they?